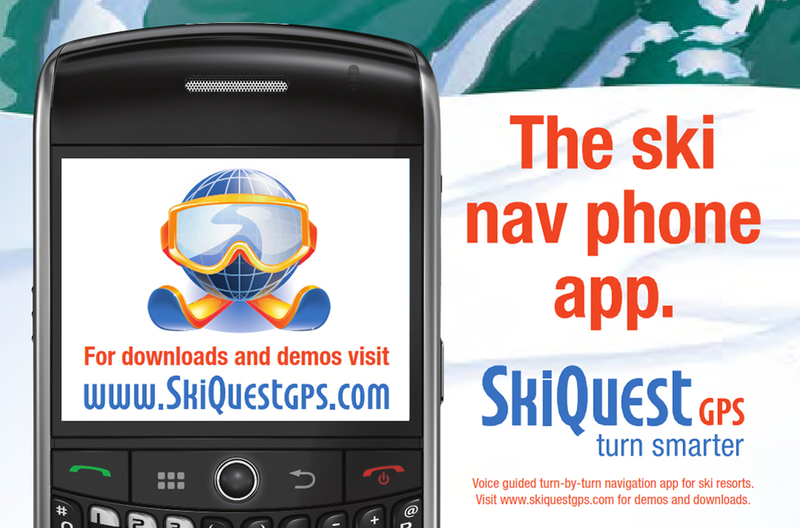 The onset of mobile technology and GPS systems such as Garmin for automobiles, gave our clients a brilliant idea. Create a smartphone application that can guide you around a ski resort using GPS and turn-by-turn voice directions. 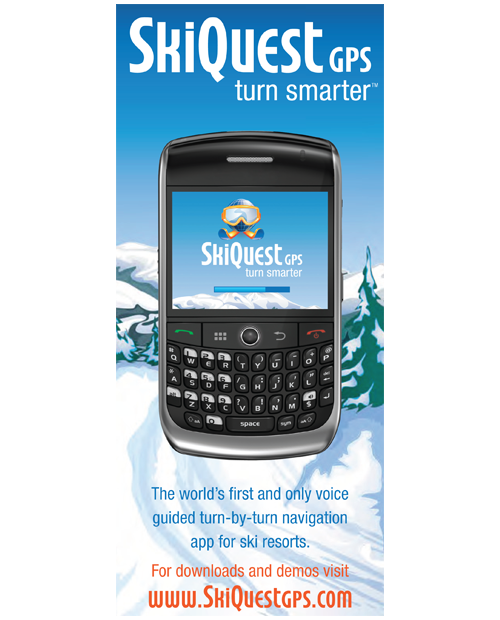 With SkiQuest GPS, you will know all about a resort's villages, restaurants, outfitters and guest services simply by activating the app. 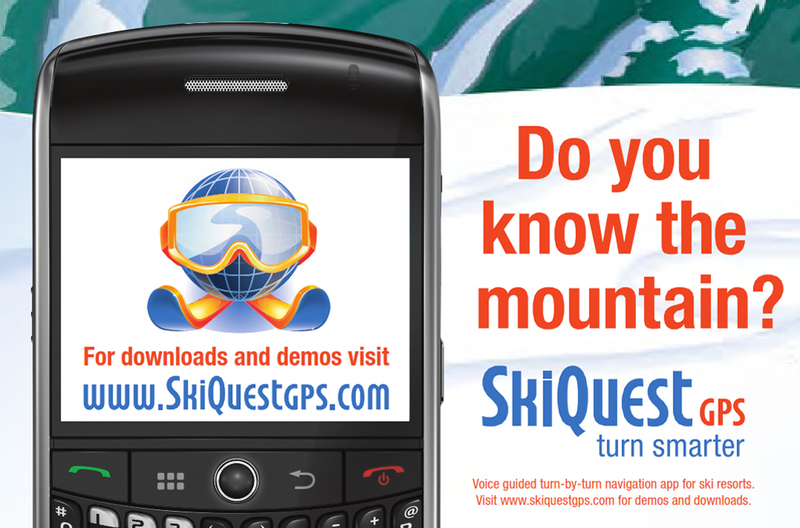 Marketers address a captured audience poised to respond to SkiQuest offers and discounts throughout the resort. 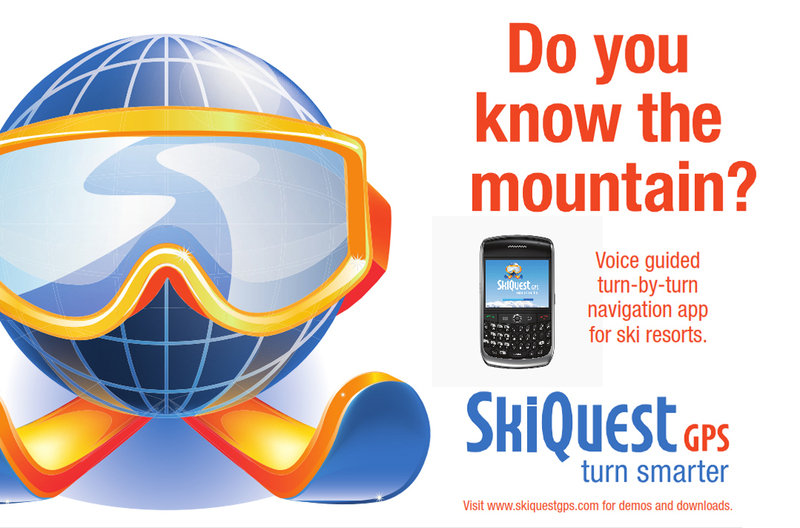 Brand creation for SkiQuest GPS needed to compete on the same level as AT&T, Sprint and Google. The fun of skiing, vacationing and having complete resort information would shape the creative strategy. 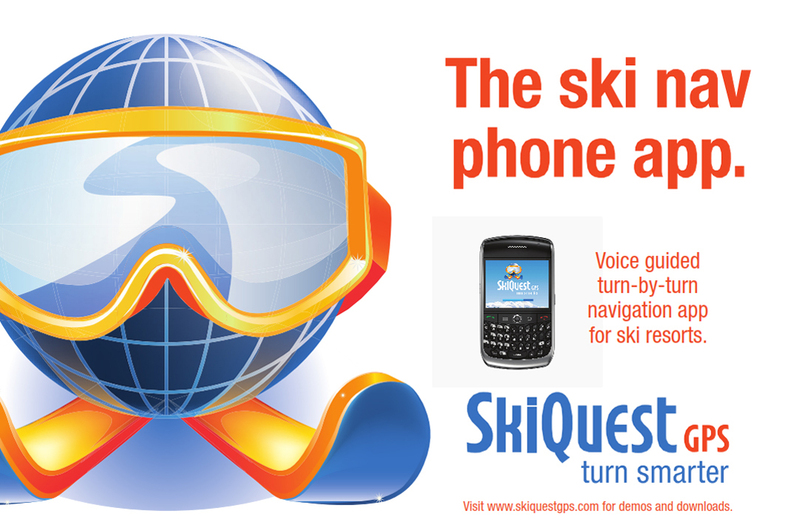 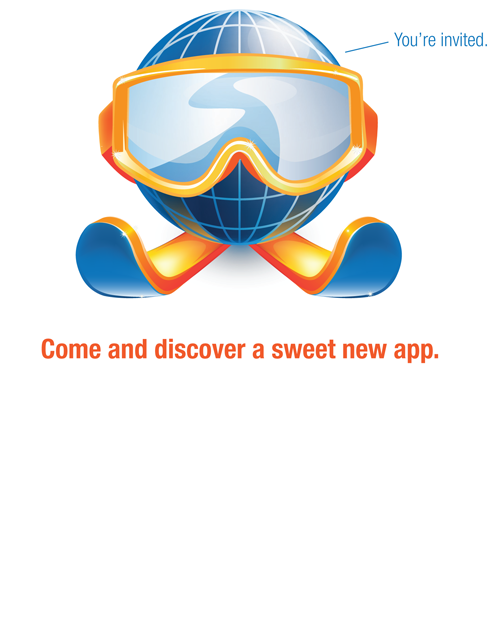 SkiQuest GPS was honored at the 2010 Web 3 International Website Design competition with a Gold Award and Best In Show in the Mobile Application category.